Register for the Firecracker 4 today! Join us in kicking off Saratoga's annual All American Celebration, beginning at the Saratoga Springs City Center! 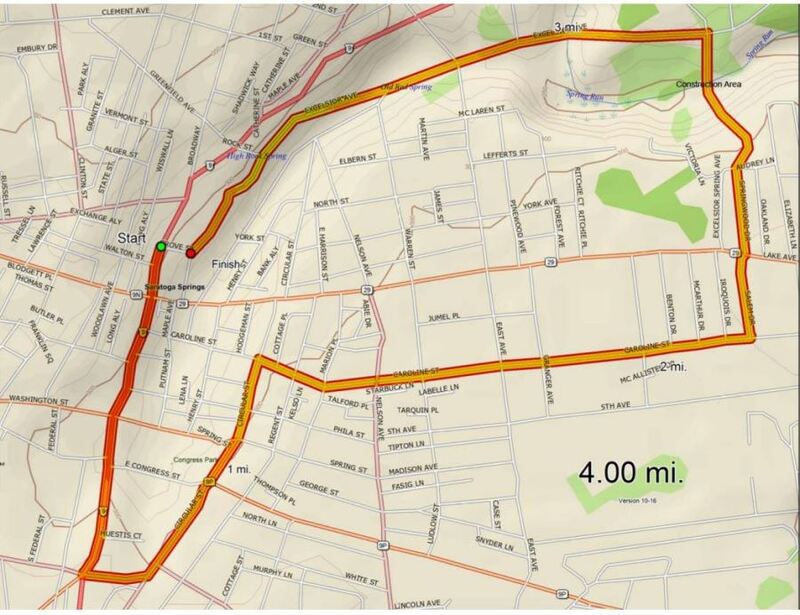 This USATF Certified course takes runners south on Broadway to Circular Street, east through the historic residential district and finishes behind the City Center. The 4th of July parade will take place right after the Sparkler Kids Fun Run on Broadway. It is a great start to a full day of activity including a BBQ contest, music and Fireworks! Firecracker4 will be awarding over $5,000 in cash prize money to individuals and teams! Age group winners (in standard 5-year age groups, male and female) will receive Firecracker4 engraved medals. 78 other prizes will also be awarded including Military, Public Safety and Age Graded. Run Your Colors team competition with up to $1000 for the charity of choice for the team with the most runners. Additional race information can be found at http://www.firecracker4.com/.